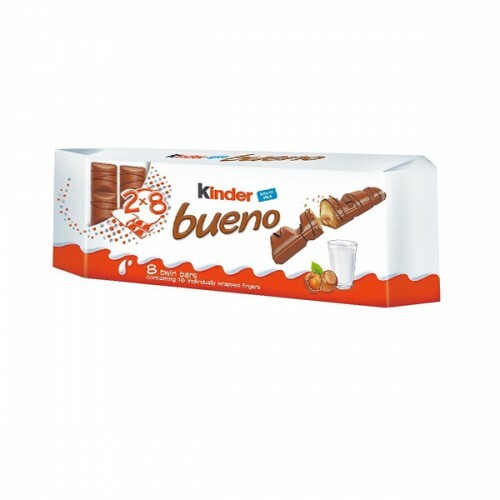 Kinder Bueno is a fine composition from airy, crispy waffer and tender milk hazelnut cream, covered with two different types of chocolate. 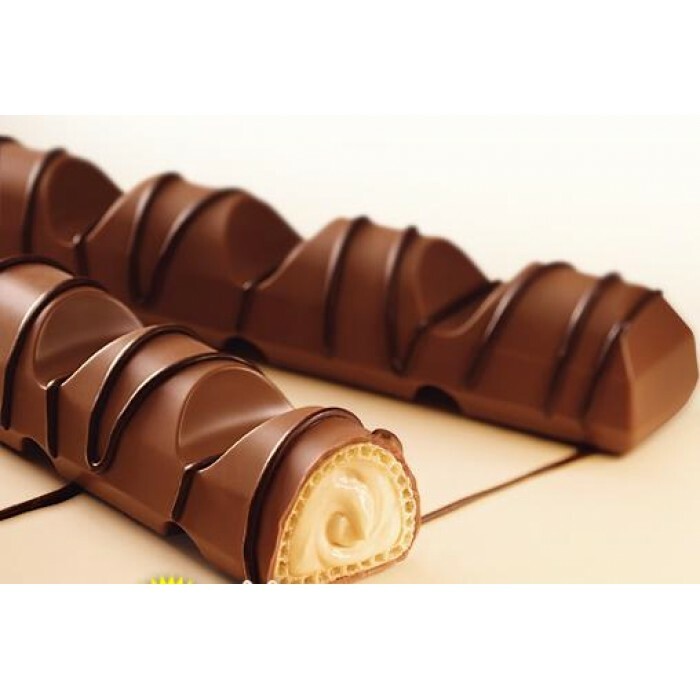 Milk Chocolate 31%(Sugar,cocoa Butter ,cocoa Mass,skimmed Milk Powder,concentrated Butter ,emulsifier:lecithins(Soya) ,vanillin),sugar,palm Oil,wheat Flour,hazelnuts (10.5%),skimmed Milk Powder, Milk Powder,chocolate(Sugar,cocoa Mass,cocoa Butter , Emulsifier:lecithins (Soya) ,vanillin,fat-reduced Cocoa , Emulsifier:lecithins(Soya), raising Agents(Sodium Bicarbonate,ammonium Bicarbonate).salt,vanillin. Total Milk Constituents: 19%.